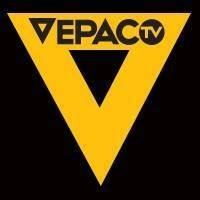 General TV Channel / Vepaco TV is a television channel located in Caracas, Venezuela. It belongs to the Trust Media Group, a corporation that groups several companies related to advertising (Vepaco), marketing, telecommunications and legal and financial advisory services. Vepaco TV began transmissions on August 31, 2015, replacing La Tele. The programming of the channel consists of spaces made by independent producers and in retransmissions of some programs of Venezolana de Televisión elaborated by public officials. Also plays music videos. From 1 November, he added some production spaces of his own.